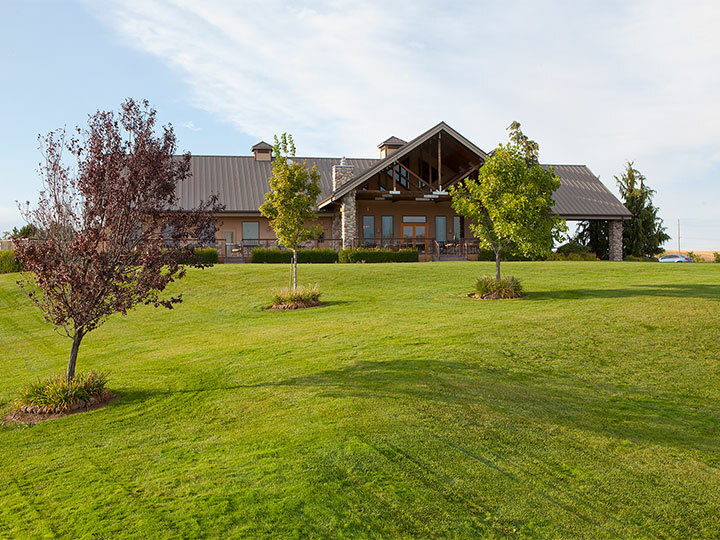 Three Rivers Winery is a destination winery located in an area of Walla Walla’s most appreciated agriculture and historical land surrounded by views of the Blue Mountains and only a couple miles away from The Whitman Mission National Historic site. One of the very few places you can walk the ruts that wagons created along the Oregon trail back in the 1800s. 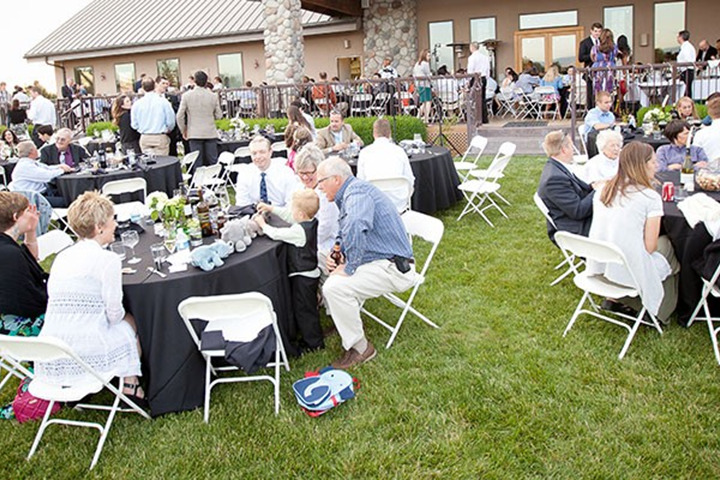 You and your guests will enjoy the large expansive deck overlooking the grass amphitheater (where our weekly summer concert series takes place), with the Blue Mountains framing a wonderful view. The property is very tranquil and at most times of the day, the wildlife including wild turkeys, deer, countless species of birds, and an occasional moose can be spotted. Lawn - Expansive lawn covering three acres including lawn games for guests. Beautiful panoramic views create a wonderful ambiance. Deck - Wrapping around the building with access to both the tasting room and the Bordeaux Room, the beautiful 2,500 square foot features an open yet intimate space perfect for wine receptions. The deck is furnished with wrought iron patio furniture. The Tasting Room - Vaulted ceilings and exposed timber trusses blend a rustic feel into the contemporary structure. Give your guests the private tasting room experience allowing them to enjoy the lounge area in front of the stone hearth fireplace. The Bordeaux Room - Accommodating up to 75 guests, this banquet room is perfectly situated with access to both the tasting room and the adjacent deck. With views into the lower barrel room, this room is the perfect spot for dinner receptions. Maximum Occupancy: 250 guests on outside lawn area, 75 guests in indoor space. Renting any portion of the venue gives complete access to all event areas. Your event here at Three Rivers is exclusive.